Like so many other small oil and gas firms, Oilex (LSE:OEX) has suffered from a lack of confidence in the sector combined with disappointing news. Having set a 52-week high in March at 23.50p/share, the share price has plummeted, currently standing at just 4.13p/share. This equates to an over 80% fall. Through this, Oilex's market capitalisation stands at ~£14.50m. The company also has a respectably low 355m shares in issue. Oilex is dual listed (Australian Stock Market and London) thus can also be invested in via an ISA hence making it a potentially rewarding investment. The chart above shows the performance of the London listed Oilex stock over the last year. It illustrates the sharp decrease seen in the price almost immediately having made a 52-week high in March. Therefore the sentiment change has clearly been quick. Its worth noting that back in 2008 the stock traded at 80p/share, and made a low following the crisis in mid-2010. This low was a double bottom at 4.23p hence could be potentially problematic as a point of resistance. Nonetheless, the share looks ready for upside following the head and shoulders formation barring further bad news. At this level, the share looks a good shot technically - any good news should spark a steep price increase recovering some of the losses. However, this is only one half of Oilex's charts. This chart highlights the similar nature of the Australian stock. This chart is slightly more positive with two consecutive days of gains being registered following a breakdown through the bottom trendline. In both cases I would set Oilex as a buy, but only when a further gain is made and held into the close. This could mark a trend-change. At these historically low prices selling will eventually dry up as long as no further bad news is expected. Oilex itself operates in numerous locations, primarily India - clearly before even the more technical aspects of the company are looked at, this is an advantage due to surrounding demand from a fast-growing economy that could easily overtake China over the next decade. The only problem with India is the infrastructure crisis. 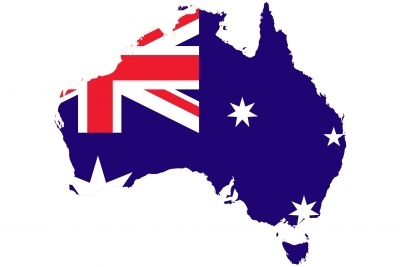 Oilex also has operations offshore Australia and in Indonesia. Aside from the Indian projects Oilex is not the operator. 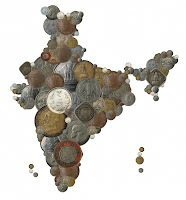 Within India, Oilex in three 'brownfield locations'. These are locations that have previously been built on, but can now be redeveloped. These are the Cambay, Bhandut and Sabarmati fields. There are in the Gujarat area of India - this is one of the more economically prosperous locations and accounts for 38% of the natural gas market in India. At Cambay, Oilex has a 45% working interest in the 161km2 field. The other 55% is owned by Gujarat state petroleum. Cambay looks particularly attractive as there are high gas prices, is excess demand, and is relatively close to infrastructure (e.g. only 10km from gas grid). Prices can reach in excess of $6mscf which is significantly higher than the current gas price. There is also a low population density here which is a huge advantage as operations here will not be hindered by population problems. At Cambay a well entitled Cambay-76H has been drilled. I'll refer to this later. As of October 2011, a resource guide was released by the company. At a 2C level the Contingent resources totalled 222bcf and 37mmbls net to Oilex. At a 3C level the gas figure and oil figure is more than doubled making it potentially worth multiples of the current price. Additionally, the mean estimates for prospective resources totalled a further 420bcf with 63mmbls. Top-range estimates were as high as 1.6TCF and 248mmbls net to Oilex. This strongly hints that Oilex's current valuation accounts for almost none of this. Moreover, in October 2011 four deeper zones at Cambay were estimated to hold an undiscovered total of 12.4TCF GIIP and 11,592MMbo. This is a huge amount of potential GIIP. In the other two fields in India, Oilex has a 40% control. These are currently used for small-scale oil production, but this is being reviewed. The fields were discovered and developed initially by ONGC. Hydrocarbons were found in Miocene sandstones at Bhandut and Eocene siltstones at Sabarmati. The fields were acquired by the GSPC and Niko Joint Venture in 1995 and Oilex subsequently acquired Niko’s interest in 2006. During the year  the fields produced a combined average of approximately 14 barrels of oil per day. Offshore Australia, Oilex has an asset near the small island of Timor Leste where it holds a 10% minority interest. This is in the JPDA (Joint Petroleum Development Area) 06-103 block. This location is currently underexplored although 3D seismic has been completed. As noted by the company this is a highly prospective area, but is also high risk thus the small interest is a good tactical decision to reduce any downside. Closer to Western Australia Oilex owns a small 8.4% interest in the WA-388-P permit which was awarded in 2006. Once again, this looks a high risk potentially high reward area so the small interest will suit the risk. Oilex completed the interpretation of the reprocessed 2D and the Rose 3D seismic data as Operator in 2010. A portfolio of prospects and play types was developed with seven leads identified ranging in potential size from 0.3 to 2.8 trillion cubic feet (“TCF”) of prospective gas resource (recoverable best estimate, 100% basis). The La Rocca-1 exploration well was spudded on 30 April 2011. The well was operated by Apache. The well was drilled to a total depth of 4,864 metres. There were no indications of gas in log data and the well was plugged and abandoned. The Operator is currently reviewing options for the future work programme for the permit. Oilex secured funding for its share of the La Rocca-1 exploration well costs under the terms of a modified farm-out agreement with Apache. Under the farm out agreement Apache obtained a 40% interest in the WA-388-P permit by paying 100% of the first exploration well. Oilex retained an 8.4% interest in the permit and Apache replaced Oilex as the permit operator. Oilex's final asset lies in Indonesia in the West Kampar PSC located in Central Sumatra. Oilex here has a 45% interest with a further 22.5% secured. Oilex is partnered here with PT Sumatera Persada Energi (SPE). Following a dispute over farm out conditions in 2009, Oilex is pursuing a $4.6m payment from SPE. Positively, in mid-June 2010 a result was found in favour of Oilex. Oilex maintains that it is further entitled to have assigned an additional 22.5% to its 45% holding through the exercise of its rights under a Power of Attorney granted by SPE following the failure of SPE to repay the funds due referred to above. The assignment documentation has been provided to BPMigas (the Indonesian regulator) but these have not yet been approved or rejected. If the debt due to Oilex is satisfied, Oilex will not pursue this assignment. Despite a resolution still not finalised, the completion of this should reassure shareholders and is effectively a win-win situation. If SPE fail to pay, Oilex can obtain the extra percentage interest and farm this out if necessary to retrieve cash. Alternatively, if SPE do pay, then the money can be used to fund the forward working program. A resolution here may act as a good trend changer. As mentioned earlier, the Cambay-76 horizontal well (C-76H) is the main reason why Oilex has suffered through 2012. The C-76H well spudded back in June 2011. The primary objective was for the well to test the Eocene 'tight' reservoirs at Cambay. Total depth was set to near 3000m and an estimated time to total depth was given at 35 days. Following the drilling, an 8-stage fracture stimulation program (to shatter rocks and release gases) will be conducted and then a long-term production test will be completed. 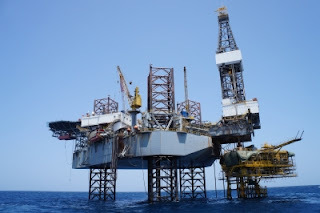 Oilex's policy during the drill was to release frequent reports, which was initially ok, but overall it led to the enhanced share price deterioration. The first report was a depth update (601m) after one week. On the 22nd another depth update was given - good progress was being made and the new depth was 1595m. Further drilling was then released down to 2596m by the 28th June. Total depth was reached in early July at 2740m. To this point, the drilling was quick and proves the good geological knowledge Oilex had. The drilling rig was now being demobilised to allow for the start of fracture stimulation. This demobilisation was completed in late July following minor weather delays. The company did not that further progress would be dependant on the severity of Gujarat's monsoon season. This is a clear risk to Oilex's Indian operations, although it should only really affect exploration so when possible it can be avoided. interventions to open up the remaining fracture stimulation stages. Further to this it was announced that the col tubing unit failed to retrieve downhole milling tools thus a workover rig was now being mobilised to solve the issue. The company also said that weekly updates would be stopped and only material events would be reported. Almost a month later (Jan 2012) and only most of the coil tubing had been retrieved. The well was now becoming an expensive project and progress had slowed massively. Retrieving the milling equipment also led to well stability issues which were now being sorted. On January 18 this process was still ongoing and the company had mis-evaluated the well pressure. Whilst this is highly positive for flowing operations this meant that more well control with new chemicals was needed and the retrieval operations could still not be completed. A positive outcome for the well was looking less and less likely at this point. Milling and clean out of the first six fracture stimulation stages to a depth of 2,581 metres measured depth has been completed. Of the two remaining stages, one has been partially opened where a significant flow of fracture stimulation sand was encountered indicating the existence of a higher pressure environment. As a consequence, it is now expected that the final stage should open as the well is flowed back during the clean-up phase. Accordingly milling operations have now been discontinued. The large volume of fracture sand mentioned above has locked up the milling assembly and caused the drill pipe to part at a depth of about 600 metres. The drill pipe is being repaired. The real blow was announced in May when the drill pipe had then parted in three locations bringing into question the integrity of the drill pipe. It is likely that the well conditions had deteriorated the structure of the drill pipe. Operations were now being suspended to better understand the situation. In late June Oilex confirmed the creation of a second stage attempt to unlock the potential at the Cambay well. It consisted of another well being drilled from the C-76H pad to intersect and 'tap' the drilled resources. This is yet to be drilled, but if done properly will be very significant for the company especially following its disappointing previous well. Success here would undoubtedly raise the share price. Aside from the C-76H operations Oilex has released a variety of other important news statements. Along with the C-76H report in late June was an update on a well entitled Cambay-73. Production had recommenced in April following its drill in 2008. Whilst production was small, the data was said to support the 76-H wells conclusions of high prospectivity. Additionally in the Timor Sea a prospect had been delineated as containing 7m barrels net to Oilex with a 23% chance of success. To drill the second Cambay well Oilex also announced a fundraising for £4.75m in early August. This does suggest that Oilex is under some financial constraints and was confirmed by the 2012 annual report which uncovered only $4.4m at year end. However, no corporate debt existed which is positive. In the future there are two routes that Oilex can take to raise funds. The first is the obvious equity placings. However, I think they will only use this if they need to raise cash quickly as the depressed share price does not help this method. Alternatively they could use a loan note. The obvious question is then 'How can they repay this?'. Money will definitely need to be raised though so it will be interesting to see how they go about this. For example, a placement level or above the current price from a strategic domestic investor would be appropriate. Nonetheless, Oilex looks like a very good play especially considering its proximity to markets plus its positive results at the Cambay well prior to experiencing difficulties. The International Energy Agency forecasts India’s gas demand to increase by over 5% per annum over the next 15 years and to quickly outpace supply. At this point in time Oilex is more a recovery play than a long term hold. The follow-up Cambay well will definitely lift the share price if a positive outcome is reached and this is the next key event to look out for. It is unlikely the company will try to raise cash until this is complete. Currently the longer term reason to invest in Oilex is unclear simply because of their cash position. If this is resolved in a relatively dilution-free way, this would pave the way to a strong future for Oilex. Update - January 2013: Oilex is now at 7p/share equivalent to a massive ~70% rise since the first review. Well done to anyone who traded successfully. OEX clearly has massive upside in the event of drilling success. OEX has some 10 million dollars in the bank and 3 goood prospects (wa timor cambay). Totally oversold. Thanks for the great write up. on the offset well the other day so should be commencing anytime now.